Hello and Welcome Spring Newbies! GET TO KNOW YOUR RUNNING BUDDIES! 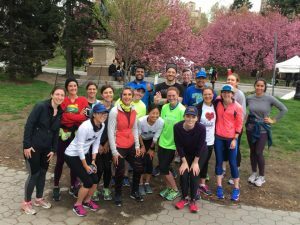 Leave your running shoes at home; come and hang out with your running and neighborhood buddies at our April Meet’n Greet this Wednesday April 26 7:30pm until late at Union Street Pub. Happy Hour prices until 8pm. CHRC Gear size samples will be available! This is our monthly social meet-up for new members, old members, injured members….all the members of CHRC! If you missed the New Member Run and Orientation this weekend, this is a good chance to meet out Royal Council as well and get information about #CHRC. The Gear Shoppe is open ONLY until APRIL 26, MIDNIGHT. Your next chance to get your gear wont be till mid-summer. If you have a race coming up, don’t miss this opportunity to sport your team gear and also support our club. 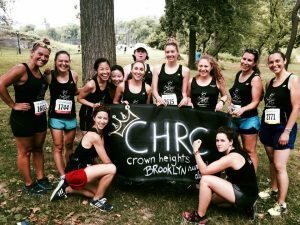 Let’s show off our crowns and banners at the Brooklyn Half! 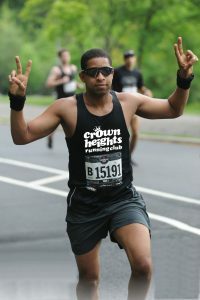 All gear will be distributed one week prior to the Brooklyn Half. A secondary pick-up time will be provided for distribution at the Brooklyn Half Pre-Party. 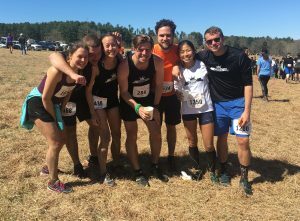 Although #CHRCTrails and a high interest in hiking and camping has been a unique feature of our club since the beginning, we are seeing an increase of participation in and trail/ultra racing this year. In the past couple of weekends, #CHRCTrails have climbed peaks and waded through creeks as they ran miles in the gorgeous landscapes of upstate New York. A more thorough account is forthcoming from our enthusiastic Sunday Trails Run Leader, Joey, so stay tuned! For members interested in off-roading, come out for Prospect Park Trail runs on Sundays at 11am. We’re also looking forward to organizing another camping or day-hike trip this summer for those interested in having a more casual time in nature. 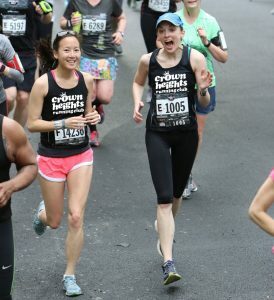 There is still space for registration in the Bronx 10Mile and Staten Island Half which are both part of the 5 Borough Series and Club Points Races. To see and offer all kinds of races that you or your running buddies might be participating in, please use our Race List!